The 2017 Major League Baseball season is going to be a profitable one and with spring training starting in just a few more weeks it’s time to start preparing for a long baseball season following the Chicago Cubs big World Series win. With a big world series win in 2015 when Jon Price correctly predicted the Kansas City Royals to win the World Series before the season even began. He bet it with confidence and his big futures bet paid off big time. Price also correctly predicted game 7 of the Cubs vs. Indians. This year he is gearing up for spring training which is starting now and getting his scouting reports together. He is the Peter Gammons of MLB Betting. For many sports gamblers, baseball has become the diamond in the rough. Many sports handicappers could only place their wagers at select Vegas sportsbooks in the late 1980’s and now it’s an opportunity to profit every single day. Each and every year it’s the least wagered major American sport per games played, but yet it’s the only one that with the right information, the odds can be heavily tilted in the bettors’ favor. That is why Jon Price and the analysts at Sports Information Traders love baseball betting because of the near limitless amount of statistics that can be compiled and ran through an algorithm to place a winning wager. In contrast to other sports, the money line is the by far the most popular wager in MLB sports betting it is known as the “Runline”, and rightfully so. In a game with as many variables as MLB, it’s important to simplify things as much as possible… And that includes usually betting the money line. Run lines in MLB have practically become obsolete for most experienced bettors, however the totals are also a good place to find solid value given the right information, as well. In no other sport does the outcome of a wager depend more on one single player… The starting pitcher. With so much riding on one player, it’s important to have accurate and personal updates from sources close to the teams. The difference between winning and losing can usually be determined by what kind of game each starting pitcher has. So Sports Information Traders keeps our finger on the pulse of every team and pitchers with our regional scouts which are seasonably dispersed throughout the country to cover each baseball market. Since employing this strategy in 2008, our winning % has shot up and stayed steady right around 64% annually. That’s over 12% return on your investment. 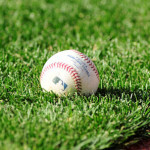 So while betting on MLB may not be the most entertaining sport to wager on or even watch, it’s not about the shape of the ball, it’s about the the value of the investment, follow our betting tips and given the right resources from Sports Information Traders, it can be far more profitable than any other of the 4 major American sports. We have had a lot of inquiries about those who are interested in seeing the 2015 total wins for American League & National League teams. This fun proposition bet does not come out until at least 30 games are played in the regular season as bookmakers have been hammered with our predictions in the past and lost a lot of money due to our precise baseball betting strategies.